Story appears in the August 2002 issue of the Beaver Beacon. 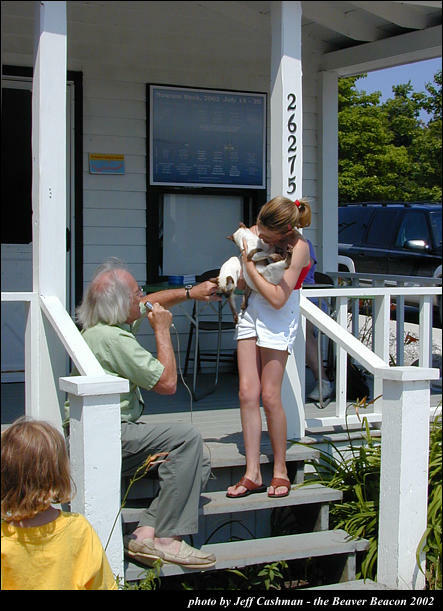 The Annual Pet Show is a part of the Historical Society’s Museum Week celebration on the Island ( [ link ] ) Photo by Jeff Cashman and Copyright © 2002 Jeff Cashman for the Beaver Beacon. All Rights Reserved.